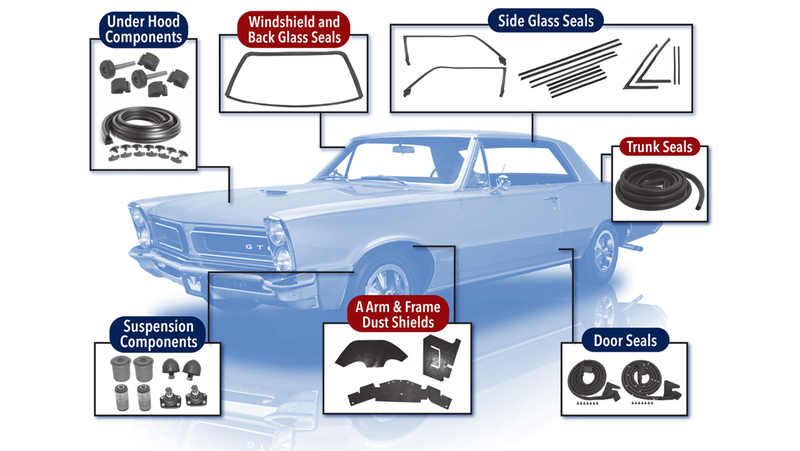 We offer a full line of rubber car parts & rubber weatherstrip for all American vehicles 1930+ . Our automotive rubber parts are exact reproductions and are made to standards that meet or exceed the originals. In addition to our 50+ restoration parts suppliers from across the country, we manufacture many rubber car parts here in our San Diego facility. Working closely with customers, friends, & parts books we meticulously reproduce every detail to make our parts the "right way." Get exclusive access to promotions & new products.